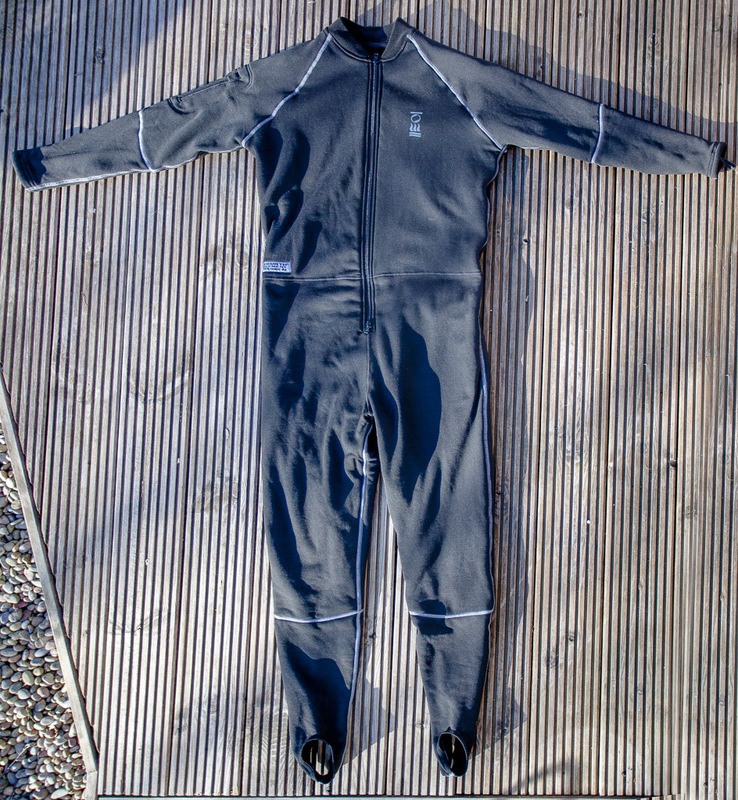 Fourth element Arctic under suit long term test and review.. Although the west coast of Scotland sea temperature is still a balmy 11 degrees Celsius in mid December (due to the Gulf stream) the air temperature is not so warm. It was minus 5C when we set off the other day but the wind chill of a brisk north wind cut that down to -12C. Keeping warm in these conditions is vital. My trusty Kokatat dry sit is now in its 4th winter and is still bone dry but what do I wear underneath? I started using the fourth element Arctic two piece 4 years ago. It is composed of a double layer. The inner is a warm fleece with remarkable wicking properties. I usually just wear a pair of cotton pants (shorts) under the trousers and they stay bone dry. The Arctic outer layer is a closely woven water repellent and wind resistant layer. I never get too hot with the Arctic suit, neither do I get too cold. Importantly when I am sitting on an exposed beach for lunch and a cold wind is blowing, I still stay warm while others round about are shivering. I pair it with long Arctic socks and even my toes remain warm. 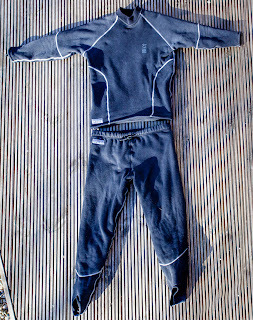 The lower legs of the suit are a single layer so that the overlapping socks do not make them too bulky when putting your dry suit on and off. 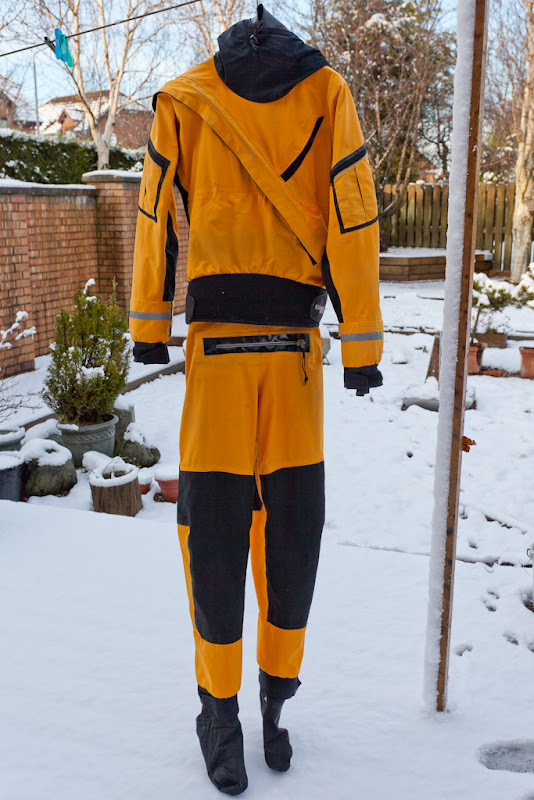 When I take my dry suit off at the end of the day I usually don't bother changing out of the Arctic suit. It feels nice and dry and remains warm even in a chill wind. (I could not do that in a previous huggy bear suit). I usually drive home in my Arctic suit. 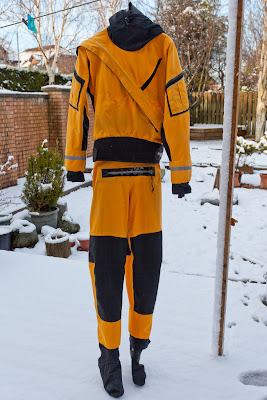 A great advantage of the Arctic suit is that it remains warm if it gets wet, for example if you puncture your dry suit or have a less than waterproof two piece and go for a swim. I tested this 3 years ago on a 37km mid winter paddle. At 10km we stopped for first luncheon and a pee break. My friend's kayak drifted off in the offshore wind. I waded in up to my waist and caught it but I had not done up the comfort zip. The Arctic trousers were soaked but I did not get cold. I continued on for the rest of the paddle feeling perfectly warm, if a little moist! 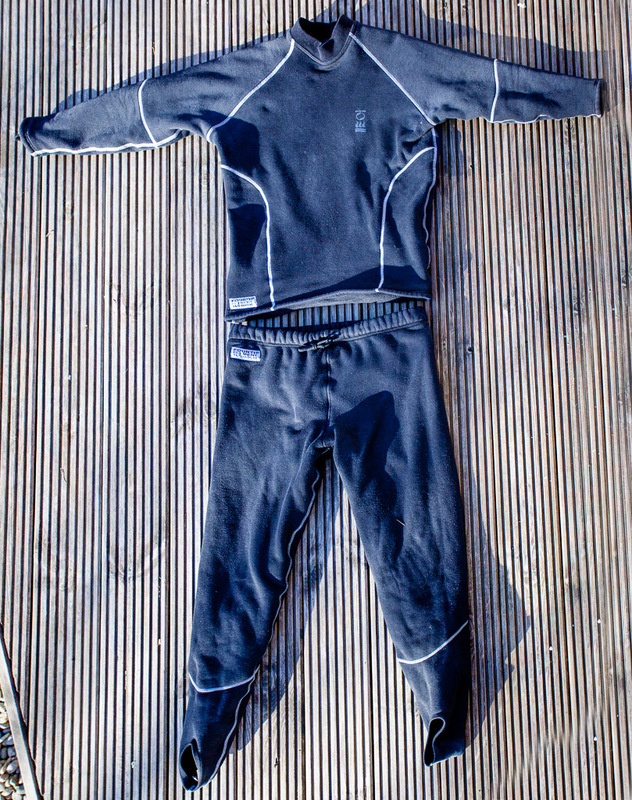 After three winters and cold washing and drip drying after every outing there is no sign of wear or shrinkage. I tend to get arm pit rash with most under suits but I have never had a rash with the Arctic. I think that this is due to the layer next to the skin remaining so dry. I do have a friend with particularly sensitive skin who has suffered underarm abrasion with this suit. He solved this by wearing a lycra rash vest underneath. My only criticism of this combination suit is that the waist of the trousers is cut rather low for the kayaking sitting position and sometimes I get a cold gap at the back. Conversely there are four layers of overlapping cloth over your belly, which can be restrictive. This criticism has been resolved since last winter, when fourth element introduced the Arctic one piece. I am now using this in its second winter season. It is just as warm as the two piece but with no gaps and is much less restrictive round the waist. Compared to my old cheap huggy bear suit, it is much warmer, wicks better, is less bulky, is less restrictive, is wind proof and remains warm when wet. 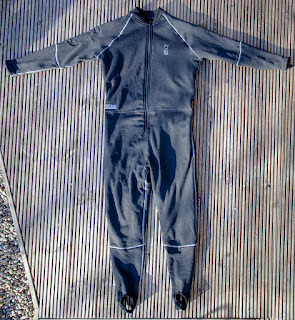 The zip is double ended so males can still use the convenience zip on the dry suit. My one minor criticism on this suit is that as supplied, the alloy crimps at the top of the zip were razor sharp and cut my neck first time out. Two minutes with a nail file rounded the sharp edges. The Arctic one piece is not cheap at £189 but I think it is worth every penny. 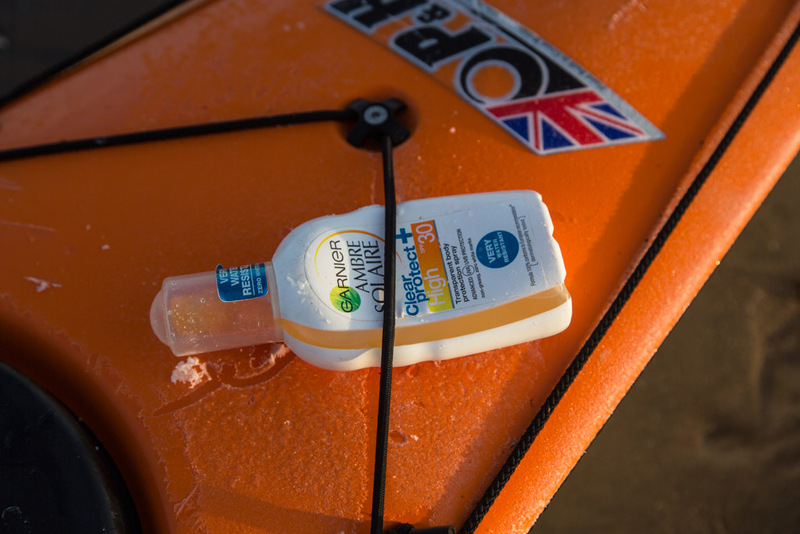 My overall verdict is that the fourth element Arctic one piece is essential wear both for comfort and safety when sea kayaking in the Scottish winter.